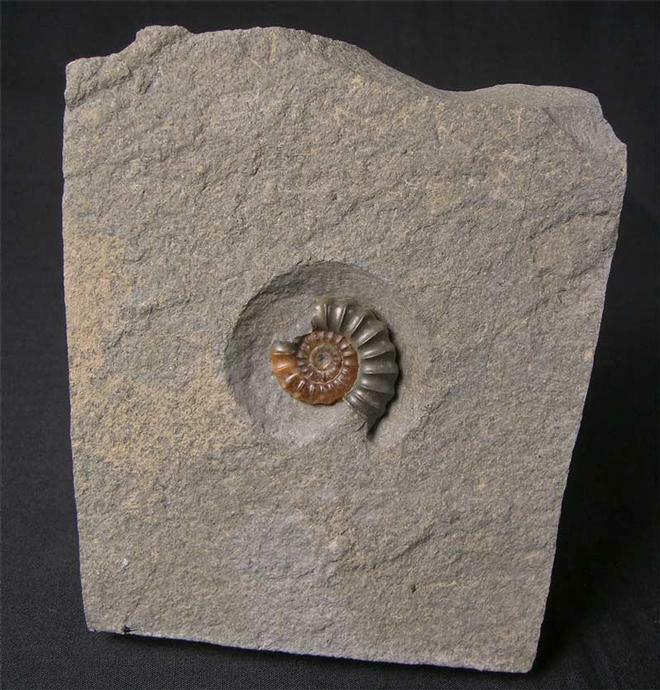 This rare oolithic ammonite lies on a generous piece of matrix which has a flat base for display options. 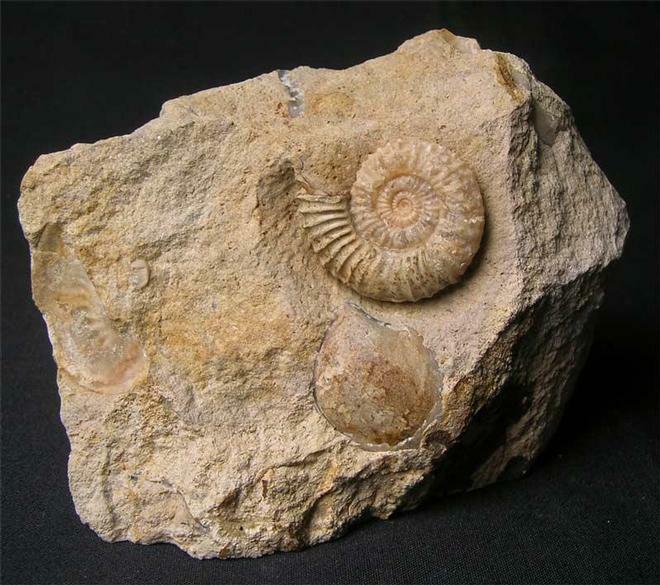 Any fossils from this world famous locality are extremely difficult to find thesedays. Approximately 177 million years old. The ammonite has an immaculate centre. 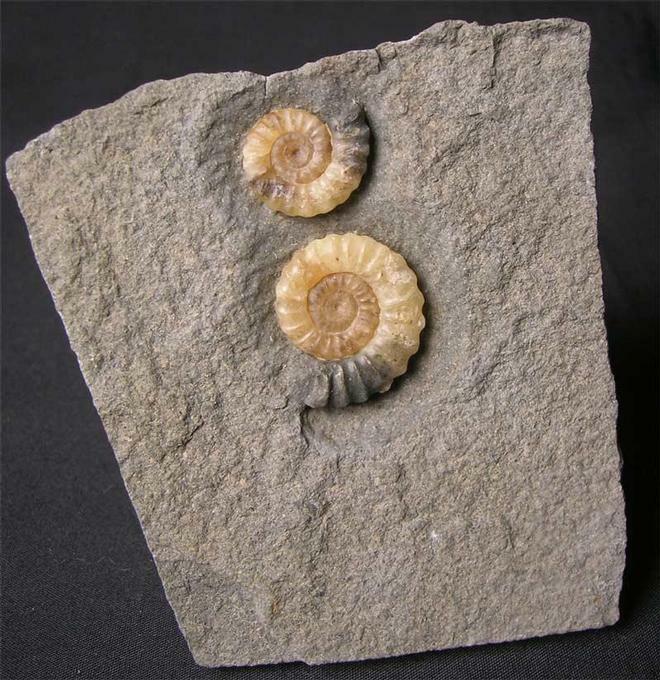 A classic lower lias ammonite with a bite taken out of its living chamber, either by a Dapedium or Furo, two predatory fish around at this time. 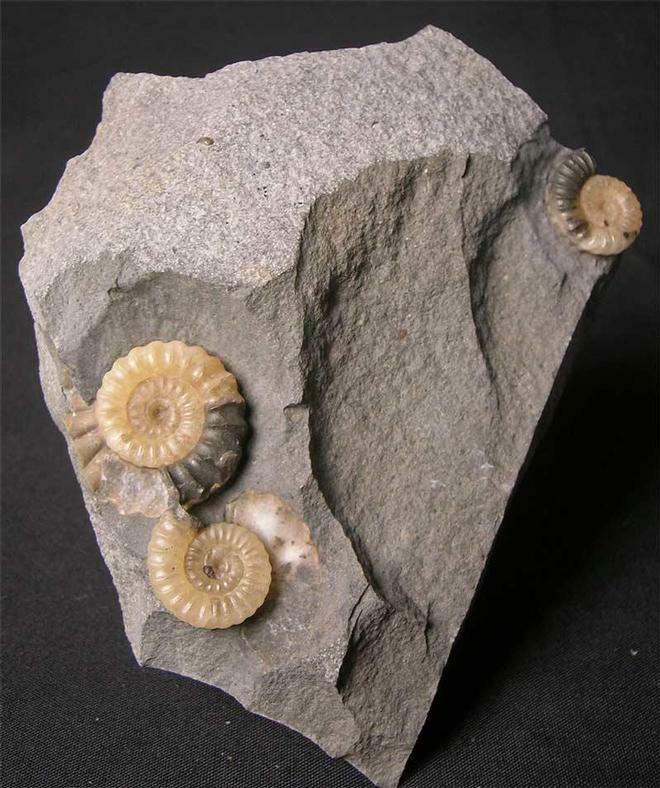 The ammonite lies in the centre of a generous piece of matrix. Approximately 200 million years old. The matrix has a flat base for display options.